The authentic Aleader Funky Squonk Resin Kit consists of Aleader Funky Squonk Box Mod and Aleader Funky RDA. 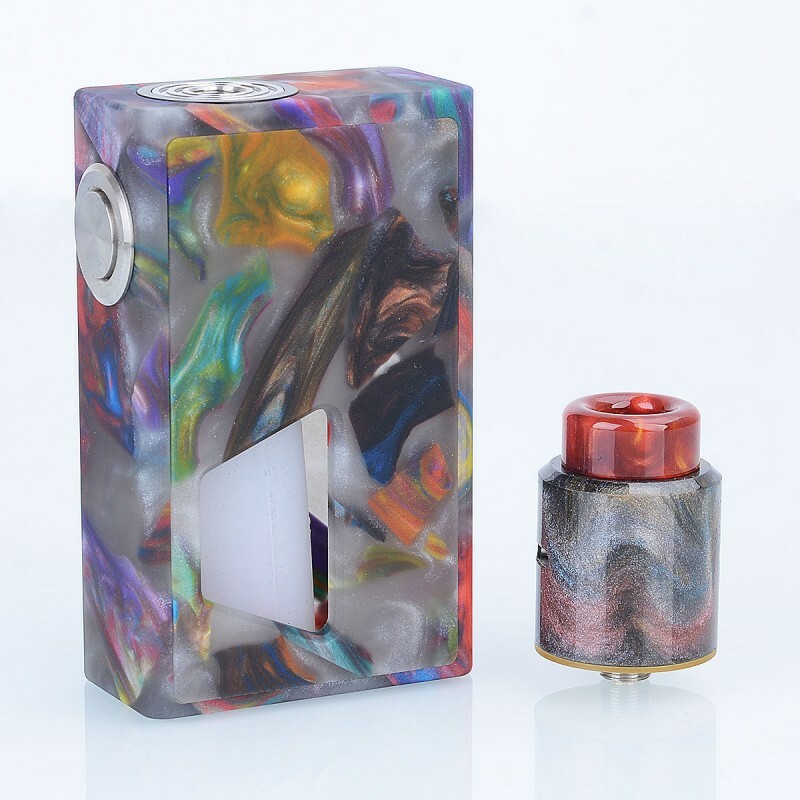 The Aleader Funky Squonk Box Mod features colorful resin body with oversized stainless steel fire button. 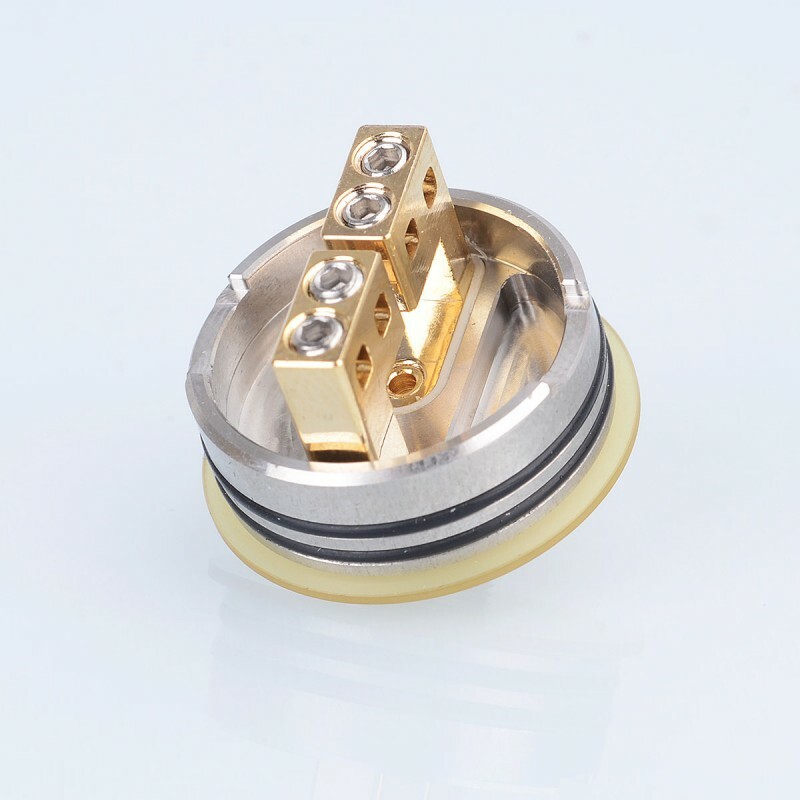 With spring loaded 510 connector, it can support most BF RDA. 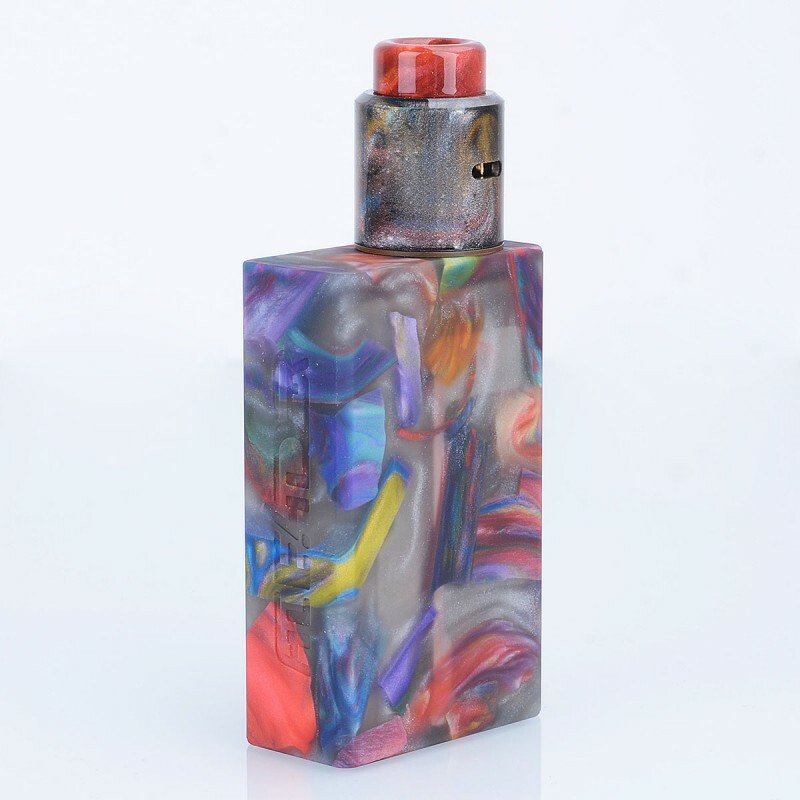 Take off the flip-style back panel, there is a 7ml silicone squonk bottle inside the mod. 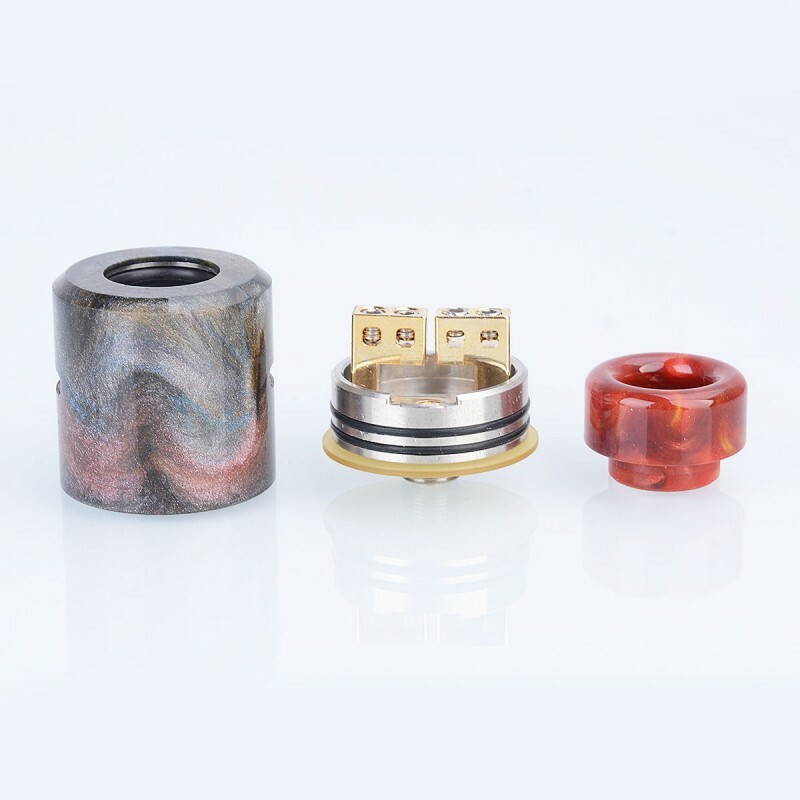 Powered by single 18650 battery (not included), the mod can provide full power and nice squonking experience for you. 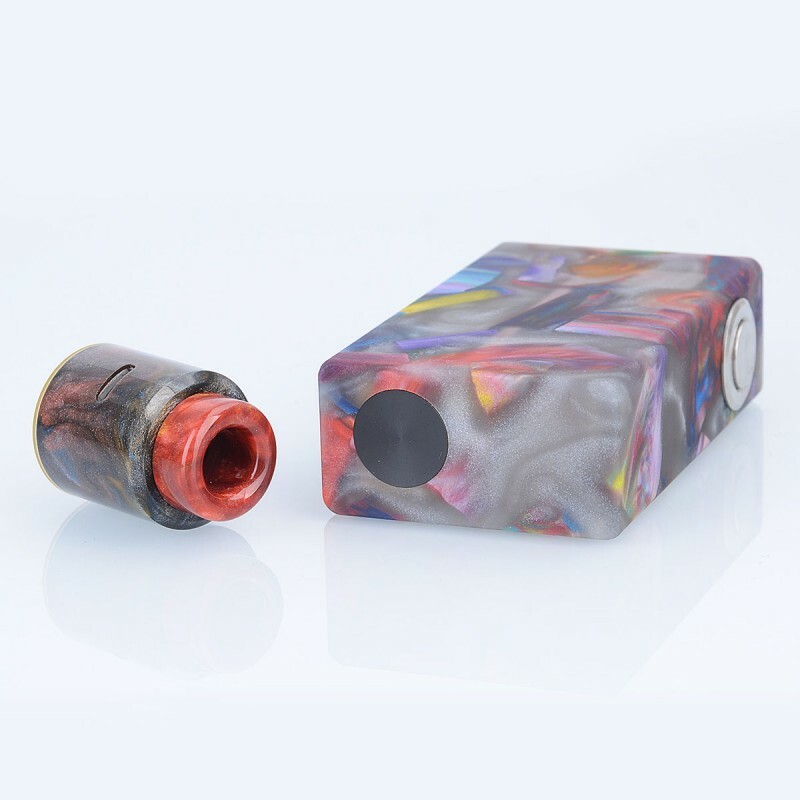 The Aleader Funky BF RDA is a 24mm atty with colorful resin cap, which matches the Funky Squonk Box Mod very well. 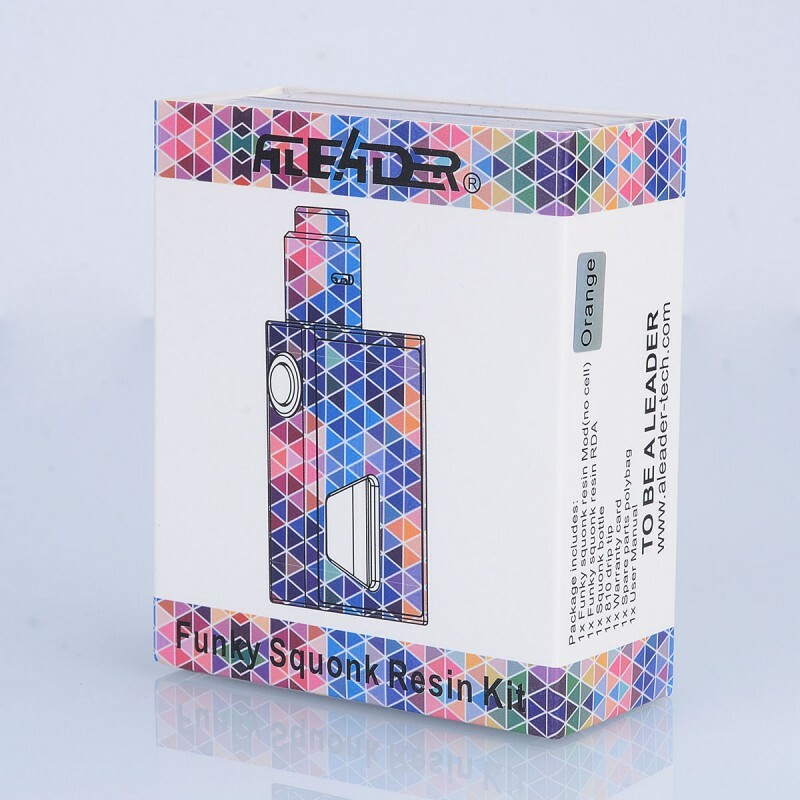 It comes with deep juice well to storage more e-juice and the side airflow will brings smooth and massive vapor.